We are proud to work with RE/MAX to offer their associates tools that allow them to manage and grow their businesses, while focusing on their bottom lines. 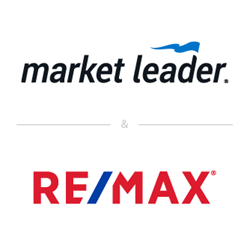 Market Leader, a pioneer and leader in lead generation and contact management systems for real estate professionals, announced today a new alliance with RE/MAX as an Approved Supplier of sales and marketing solutions, offering associates and teams a robust suite of tools including lead-generating websites, CRM with a mobile application, and a full-featured marketing center. Market Leader business management products and marketing solutions are available through RE/MAX’s dedicated Approved Suppliers portal. A pioneer in lead generation and contact management systems, Market Leader (https://www.marketleader.com) provides innovative online technology-based sales and marketing solutions for real estate professionals. Since 1999, Market Leader has helped real estate professionals succeed and grow, and today serves more than 250,000 agents, teams, brokerages, and franchises across the United States and Canada. Market Leader is a part of the Perseus Operating Group which is a division of Constellation Software, Inc. Perseus is a provider of software solutions to several vertical markets and is a leading provider of software solutions to the real estate industry through its other businesses Z57, Zurple, Constellation Web Solutions, Sharper Agent, Birdview, ReloSpec, and Diverse Solutions. For more information please visit https://csiregroup.com. RE/MAX was founded in 1973 by Dave and Gail Liniger, with an innovative, entrepreneurial culture affording its agents and franchisees the flexibility to operate their businesses with great independence. Over 115,000 agents provide RE/MAX a global reach of more than 100 countries and territories. Nobody sells more real estate than RE/MAX when measured by residential transaction sides. RE/MAX, LLC, one of the world’s leading franchisors of real estate brokerage services, is a wholly-owned subsidiary of RMCO, LLC, which is controlled and managed by RE/MAX Holdings, Inc. (NYSE:RMAX). With a passion for the communities in which its agents live and work, RE/MAX is proud to have raised more than $157 million for Children’s Miracle Network Hospitals® and other charities. For more information about RE/MAX, to search home listings or find an agent in your community, please visit https://www.remax.com. For the latest news about RE/MAX, please visit https://www.remax.com/newsroom.